Stress at the work place is the number one productivity killer among employees, so it’s good for both employers and employees to reduce stress at work. However, the work place needs to be a lively place where employees make friends and hone their teamwork skills among others. So here’s some simple steps on how to reduce stress at work. First, employees need to get enough sleep (6-8 hours depending on the person). 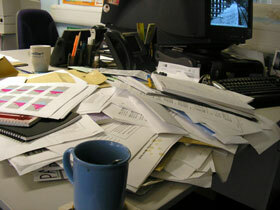 The second step is keeping the work environment clear and orderly. The third step is improving communication skills that would aid in improving teamwork skills and productivity. These simple measures can go a very long way in reducing stress at the work place.